Zindagi channel, which syndicates content from countries such as Pakistan, Egypt and Turkey, will stop airing Pakistani TV shows, its chairman Subhash Chandra said on Saturday. Calling Pakistan Prime Minister Nawaz Sharif’s speech at the United Nations General Assembly, “unfortunate”, he said artistes from the country should also leave India immediately. “Unfortunate stance of Mia Sharif at UN. Zee is considering stopping Zindgi programs from Pakistan, as well artists from there should leave,” Chandra tweeted. Zee Entertainment Enterprises launched Zindagi in 2014. The channel has aired many notable Pakistani television shows such as “Aunn Zara”, “Humsafar”, “Kitni Girhain Baaki Hain”, “Maat” and “Zindagi Gulzar Hai”, which have been well-received in India. Chandra’s tweet comes after the Raj Thackeray-led Maharashtra Navnirman Sena asked Pakistani artistes like Fawad and Mahira Khan to leave India immediately, failing which the shooting of their movies will be stalled. The party has written an open letter to Bollywood producers and production houses, asking them why they need to rope in actors from the neighbouring country when enough talent is available in India. Actors like Mahira Khan (featuring in Shah Rukh Khan-starrer ‘Raees’) and “Ae Dil Hai Mushkil” star Fawad are hijacking the opportunities of Indian artistes, MNS general secretary Shalini Thackeray had said. 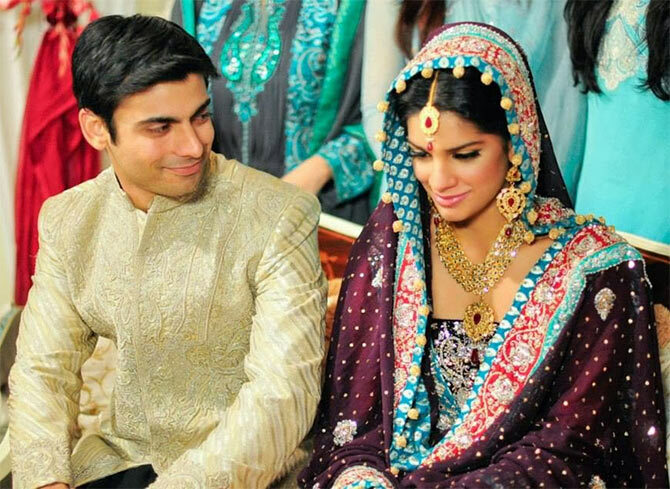 Image: A still from the show 'Zindagi Gulzar Hai' that airs on Zindagi.